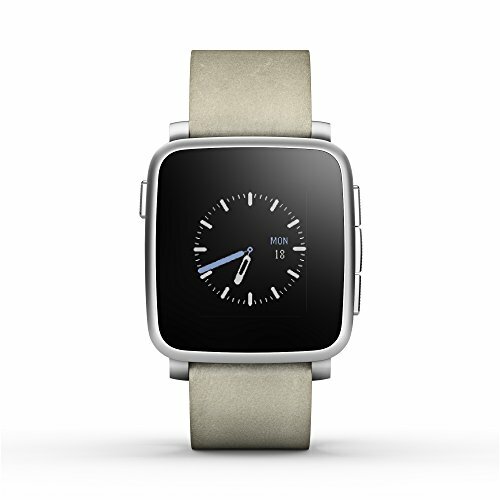 With an always-on color E-Paper display, water resistance up to 30 meters, durable glass lens, and thin, curved ergonomic design, Pebble Time Steel keeps you connected and looking great. Pebble’s new timeline interface turns moments you care about—notifications, calendar events, weather, sports scores, breaking news, missed calls, app alerts—into pins that let you see what’s ahead or catch up on what’s already happened. Timeline gives you the info you need, when you want it–so you can live ‘now’ to the fullest. With battery life up to 10 days, Time Steel is always ready and waiting. Whether you’re into sleep tracking or trail trekking, live life unplugged without stressing about the next charge. 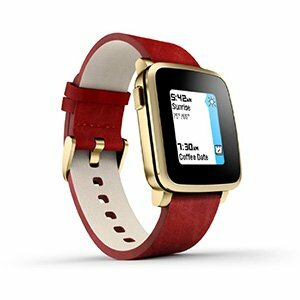 Pebble Time Steel works with both Android and iPhone smartphones. 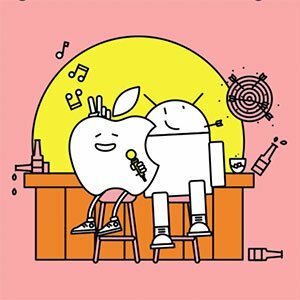 Whichever your device preference–we’ve got you covered. Run, walk, bike, swim, or sleep. 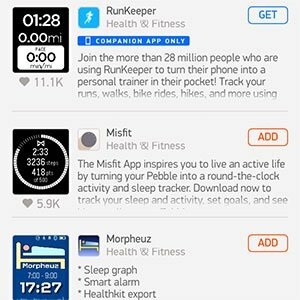 .. track it all, 24/7, with the Pebble Time Steel smartwatch & activity tracking apps from Jawbone, Fitocracy, Runkeeper, and Misfit. 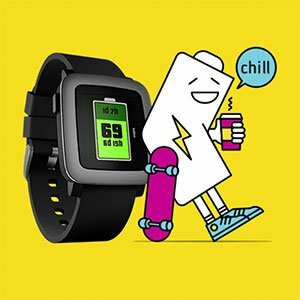 With 8000+ apps on the Pebble appstore from brands like Uber, Jawbone, Misfit, and ESPN, plus thousands of independent apps, hundreds of watch faces, swappable covers, and watch bands, tailoring Pebble Time Steel to your life and style is a breeze.